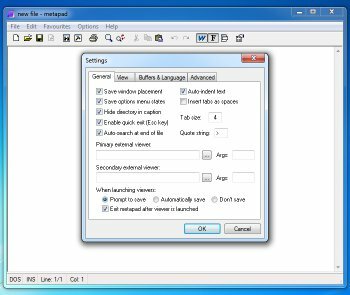 Metapad is a small, fast and completely free text editor for Windows with similar features to Microsoft Notepad but with many extra (and rather useful) features. 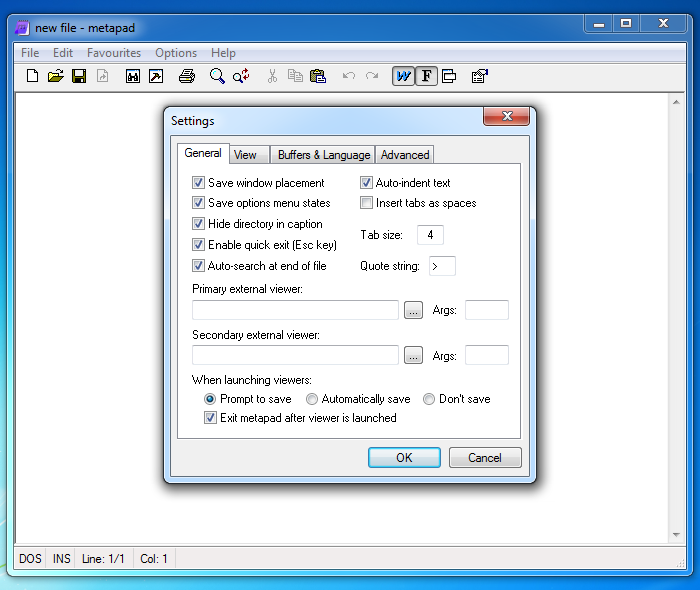 It was designed to completely replace Notepad since it includes all of Notepad's features and much, much more. Wow, it's alive, and even grew twice as big. Still a great text editor/viewer. I use it for the latter, though the non ANSI warnings are annoying. IMHO still be best light text editor viewer out there. 4.5/5! Still the best notepad replacement. I keep trying others but I end up with metapad in the end. I'm now on Windows 7 and I wish at least the icon could be refreshed to look more modern but other than that I can't think of anything wrong with it. I wish he hadn't stopped developing it. Still got some annoying bugs. Otherwise great app. The best notepad replacement, so far. + especially useful RIGHT CLICK, MAKE, UPPERCASE option. Works flawlessly. Just wish it came with an installer to make replacement of Notepad a little faster. Please elaborate on the bugs? If they're pretty serious I may look into what you're using, although at this point i have nothing but praise for metapad. So, I have switched to TED Notepad, which is still growing in features and still fixing all bugs found. By now, TED Notepad covers most of Metapad anyway, except things like toolbar and user colors. Absolutely mandatory program. Drop this in C:\Program Files or somewhere, make a "SendTo" shortcut and a system hotkey for it and enjoy. The fastest-loading, smallest and best Notepad replacement in the world. Been using his for more than two years now and it's my default instead of Notepad. using over 2 years. small, fast and reliable app. Wow!! !, my favorite NotePad for Windows XP. I know it's just a minor bug fix, but it's good to see MetaPad updated... even a little. First release in almost 2 years. Glad to see you're still around Alex! It's okay. I prefer prolix 32 over it. That is a nicer program. Absolute perfection. That's all there is to say.